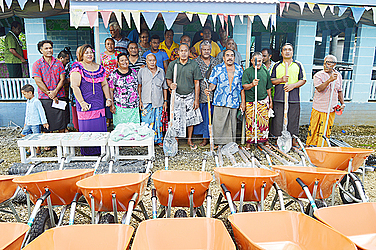 The villagers of Ti’avea are the grateful recipients of $30,000 worth of farming tools and equipment presented to them by the Ministry of Natural Resources and Environment (M.N.R.E.) yesterday. The equipment was presented as part of the Strengthening Multi Sectoral Management Critical Landscaping (S.M.S.M.C.L) project being funded by the United Nations Development Programme (U.N.D.P.). 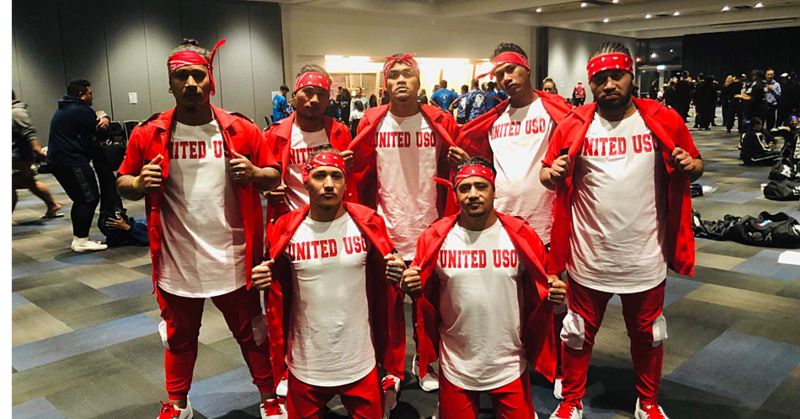 The project is designed to encourage sustainable agriculture farms and to make sure farmers in Samoa have the right skills and equipment to develop their farms. A.C.E.O of the Land Management Division, Manuleleuga Filisita Heather, said the government recognises the importance of farming to the development of families and village communities. 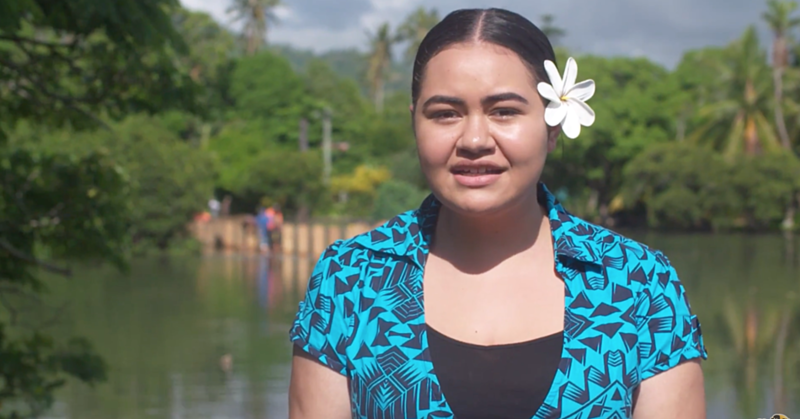 She said Ti'avea is not the only village to benefit from the donation. While Ti'avea is the first village, the Ministry will also be looking at helping other villages throughout the country. Some 126 villages stand to benefit as a result of the project. Prior to the donation, a workshop was held at the village where villagers learned about ways to develop their farms and land. 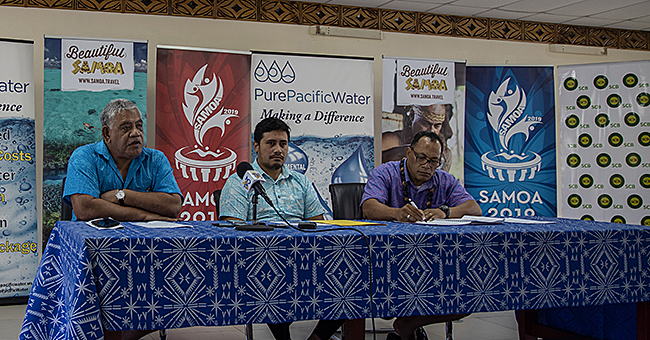 Project Manager, Seumaloisalafai Afele Failagi, said the Ministry has been impressed by what the people of Ti’avea have done. Among the donation presented yesterday were seeds, wheelbarrows, shovels and other farming equipment. Ti'avea’s Mayor, Tuiavii Poloma Eteuati, expressed their gratitude for the donation. “We want to thank the Ministry for this equipment given to us,” he said.